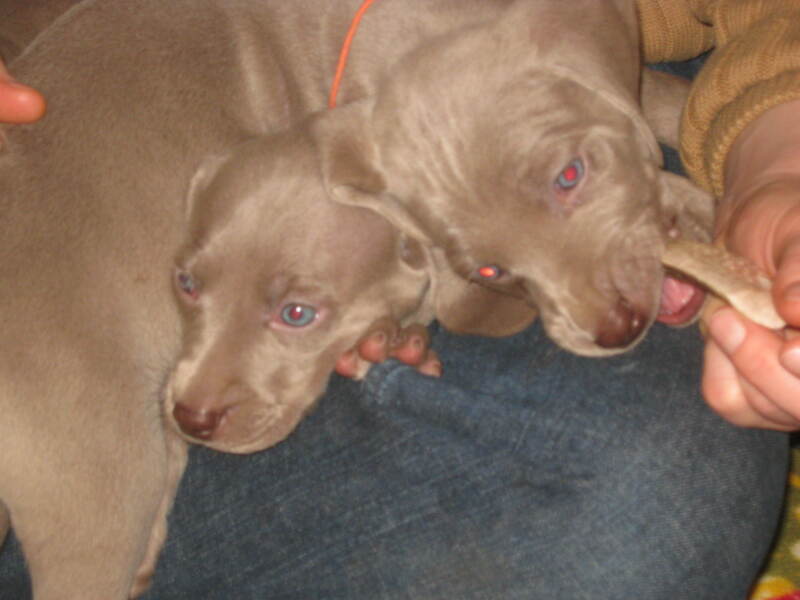 The Orange Collared male and female were born after I thought Brook was done having puppies. I even sent out litter announcements and posted on facebook! 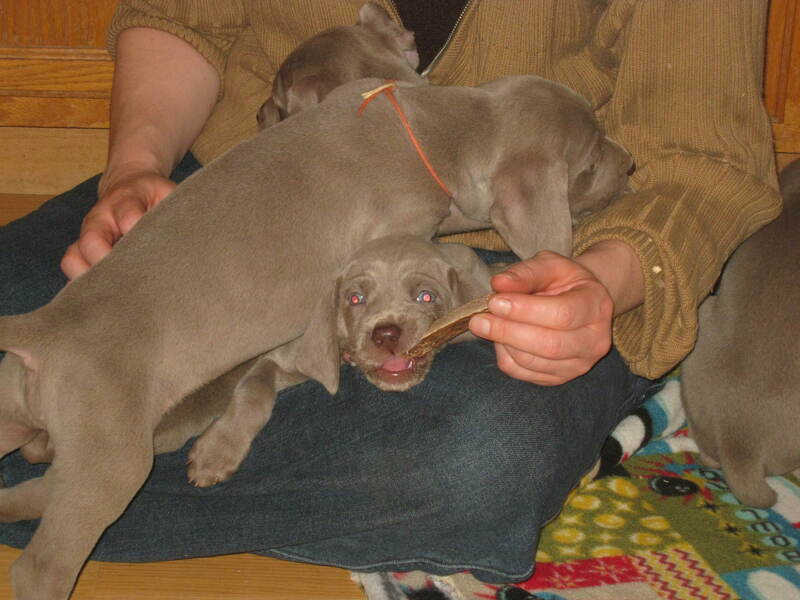 I gave them both collars that night so I would know which ones were the bonus puppies :-) Anyway, the orange collared male has been silly and full of it right from the start. He is always checking to see if anyone else wants to play! He has a medium to large bone and it put together very solidly.